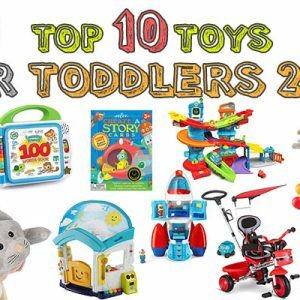 Hottest Toys for Christmas 2019 – Our List of the 35 TOP Toys for Christmas 2019 That You Should Buy Now! The savvy Christmas shopper knows better than to leave their gift shopping for the last minute. 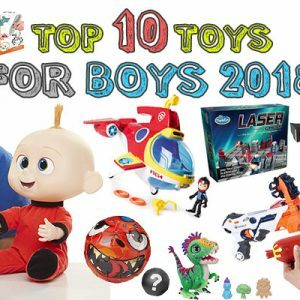 Our list of the hottest toys for Christmas 2019 should give you a couple of gift ideas to get you started out. Slated for release in August, the Grumblies make it to the hottest toys 2019 list because they are the perfect gift for the lover of the elements. The more you poke and mess around with the toys the angrier you make them, and the goal is to get them to their meltdown mode. There’s Hydro who loves water, Bolt who shoots out electric bursts, Tremor who shakes up its surroundings, and Scorch who might just obliterate everything to lava. 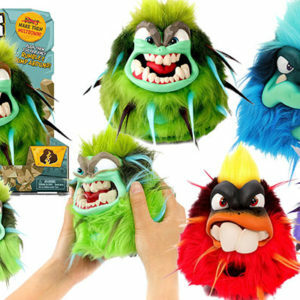 The less than cuddly toys make over 40 different reactions and custom sounds. 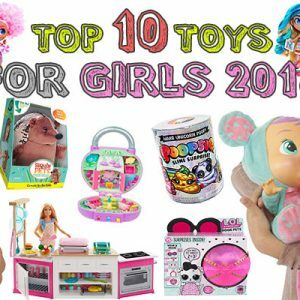 Any girl can easily fall in love with the Hairdorables Dolls and accessories. 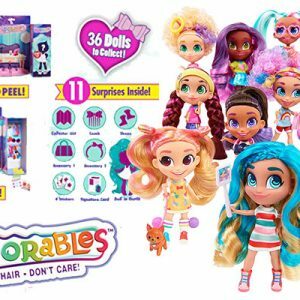 The dolls are created based on the 12 iconic girls who run the YouTube series, Hairdorables. The collectibles feature a girl squad with the biggest of colorful hair and a matching attitude. 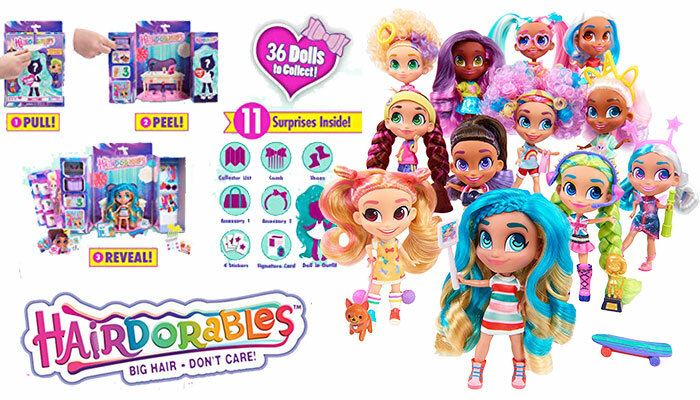 There are 36 Hairdorables dolls to collect including two rare and one ultra-rare one. Each package presents a surprise and unwrapping it presents a Hairdorable girl hidden inside alongside 10 other surprises. 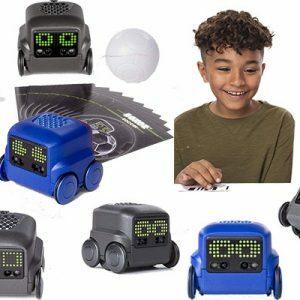 Scheduled to hit shelves this fall, Boxer Robot is an interactive AI toy with an awesome personality, and he comes packed with impressive features. Multiple AI sensors enable the robot to interact with its users, and it can follow your hand along a table as well as perform neat tricks like riding on its back wheels. Shaking him gets him dizzy, he can dance, and play with the help of the included game cards and ball. 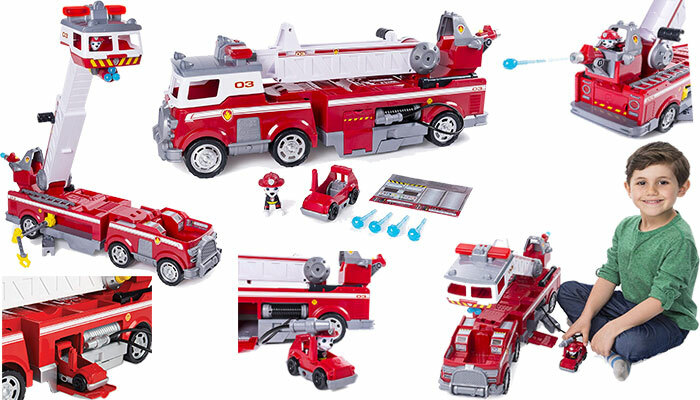 The Paw Patrol Ultimate Rescue Fire Truck playset hits the shelves in August, but it’s currently available on pre-order. It offers the biggest Paw Patrol team vehicle yet loaded with six pups and ready for sky-high rescues. 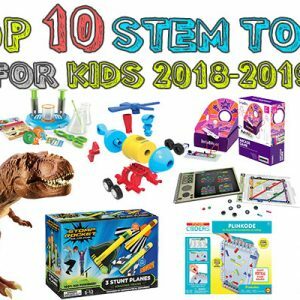 It also features flashing lights, a ladder with a 2-feet extension, a quick water launcher, and it even makes real fire truck sounds. That’s not all, and the fire truck comes equipped with a hose and working claw for extended reach. To take mobile missions a notch higher, the fire truck stores a mini fire cart within. It just takes opening up the doors to launch into the next mission. Little babies can play, learn and groove along with the Fisher-Price Smart Moves Rockit. The interactive toy encourages your little one to explore the alphabet, numbers, colors and quickly becomes their best bud. 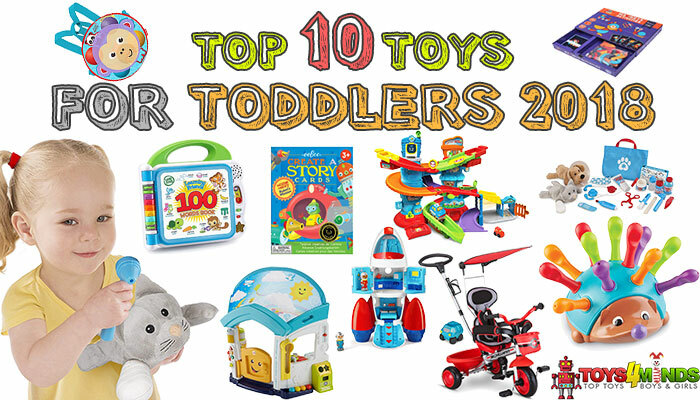 It’s the perfect gift to keep your toddler learning and moving with over 100 songs and hands-on play bundled up within. The Rockit toys can interact with one another for added fun, and it also gives your young one a high-five and can repeat what it hears. 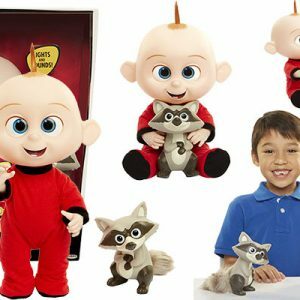 The Pomsies interactive toys are the cuddly companions your kid needs to learn the value of caring for someone else. They tell you when they are hungry, cold, and tired by making cute sounds and their eyes light up too. A freeze dance mode sends the Pompsies into sing-song. 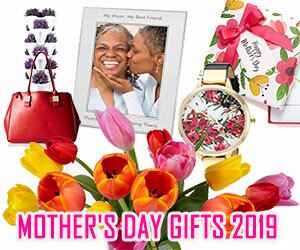 Take them along with you as a fashion accessory by wrapping their trails around a backpack, clothing, hair or your wrist. There are six unique Pomsies to choose from, and you can collect them all for added fun. Ricky, the trick-loving puppy, rolls onto our shelves in July, and he promises to bring a ton of fun for everyone. 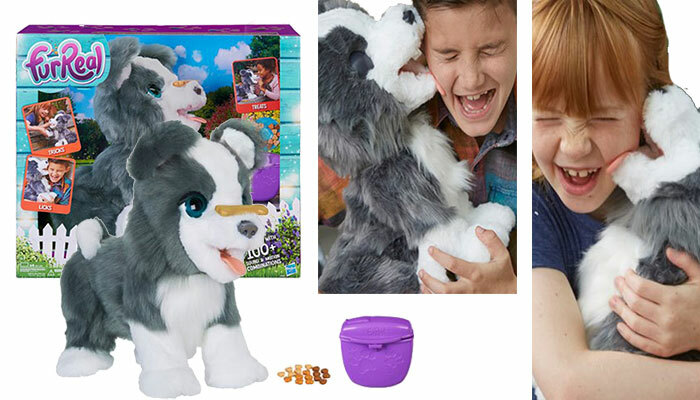 The FurReal pet can flip his bone toy into his mouth with a voice command and also balances it on his nose. He can also give some much-needed affectionate licks and shuffles his paws in excitement. He comes accompanies with instructions, a bone toy, a treat pouch, and 18 doggie treats. 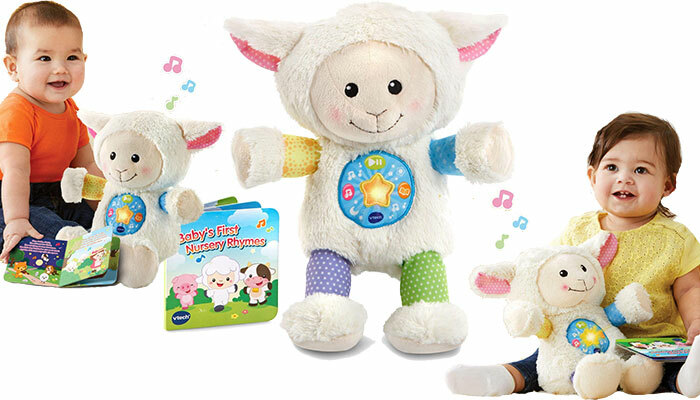 Kids can never have enough of snuggly toys, and the Storytime Rhymes Sheep is what little one for a restful night. Accompanied by four sung songs, 45+ melodies, and four stories, your young one will appreciate the addition to their pre-sleep routine. Parents can use the included timer to set playtimes and soothing modes for 15 to 30 minutes. Your young one can follow the stories and sing along to the rhymes with the help of the included rhymes board book. 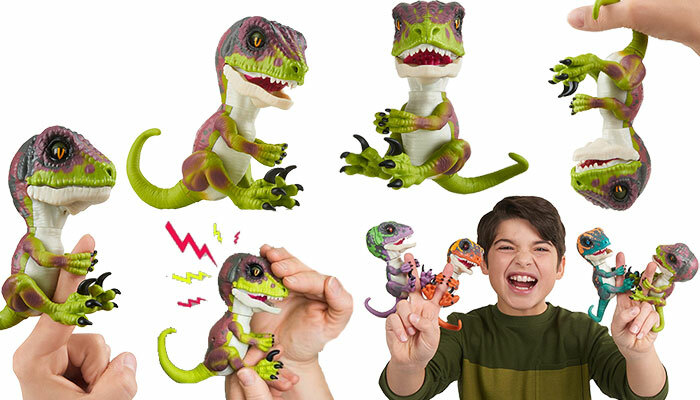 Taking its inspiration from the recently released Jurassic World Fallen Kingdom movie, Fingerlings offers an interactive Untamed Raptor collectible. They react to sounds, touch, and motion producing wild roars, a little dino gas, and chomp their jaws. The Fingerling grips onto your fingers and much like the movie dinos, they are fiercely loyal. 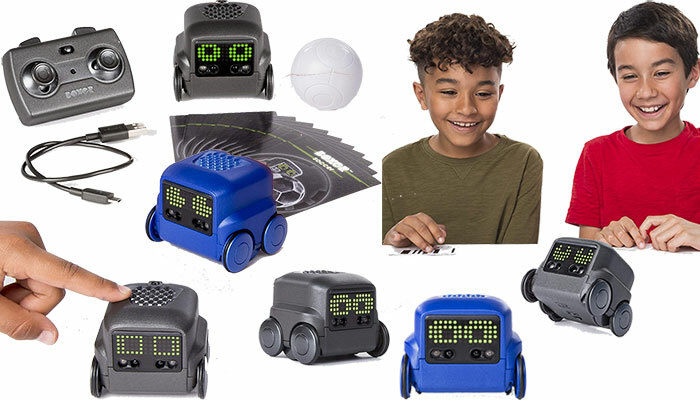 The battery-powered WowWee toys are available in a selection of four options including the Stealth (green), Blaze (orange), Razor (purple), and Fury (blue). 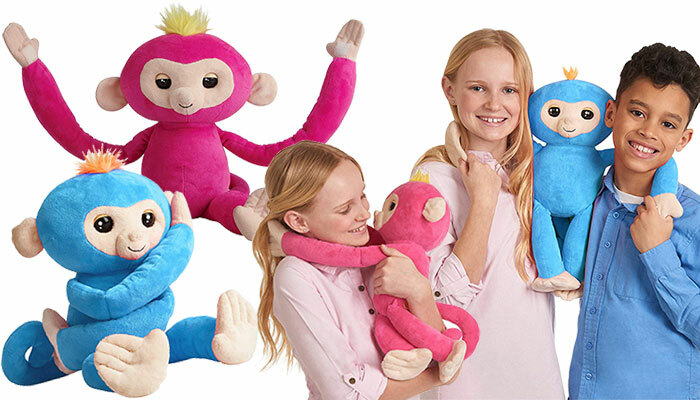 Another cuddly friend making it to several hottest toys 2019 lists is the redesigned Fingerlings Hugs. The robotic baby monkeys respond to sound, motion, and touch. 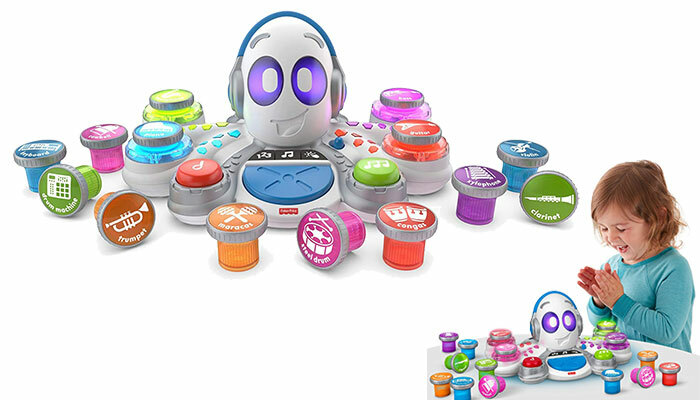 You can also record as well as remix voices and sounds with the help of the robotic toy. Their main difference from the traditional finger-perched toys is their larger size. They can be rocked to sleep, hugged, and kissed. The robotic baby monkeys are set to grace our shelves in August. 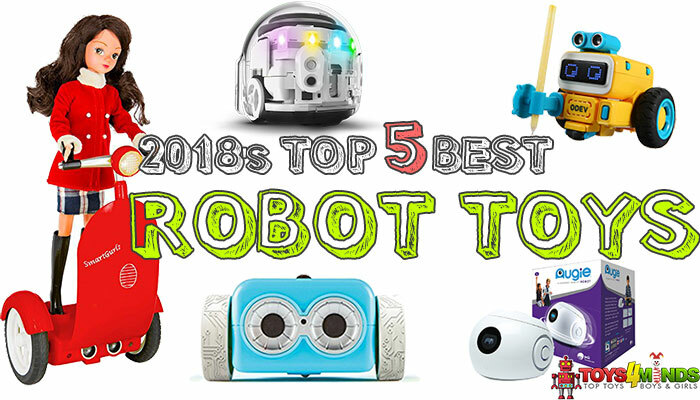 When you think about Christmas toys, the last thing that comes to mind is dodging dog poop, but your young tot will love the unusual plaything. It includes a bit of molding to form the compound into piles of poop. The goal of the game is to step in as little piles of poop as possible to win. Naturally, this is a game you want to play with friends, but you can still enjoy some solo gameplay. 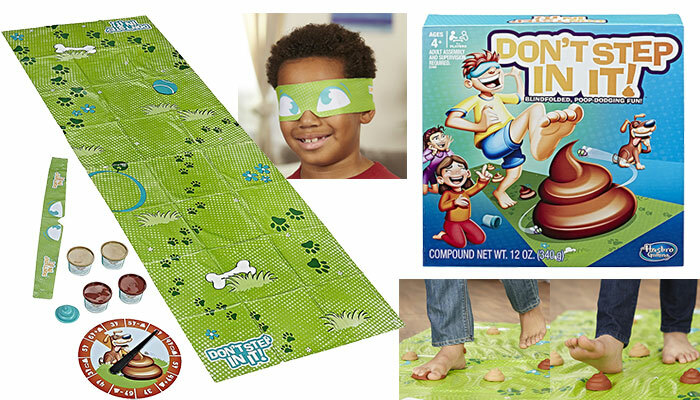 The set includes a game mat, four cans of compound, a spinner board, blindfold, plastic mold, and a base. 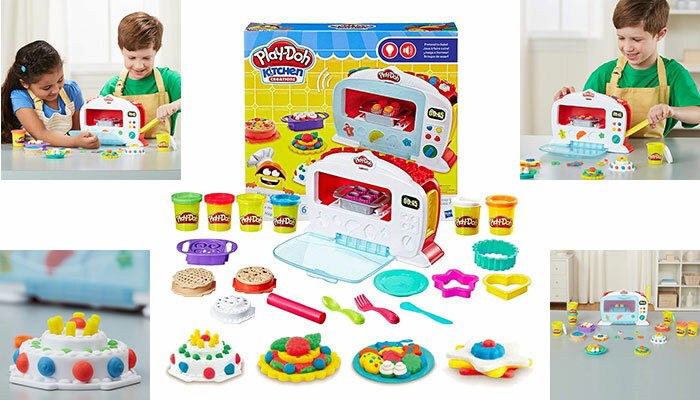 The Play-Doh Kitchen Creations Magical Oven is what that young budding chef needs in their life. Your little one can load up the oven with pretend food press the lever to cook up different make belief culinary creations. Some of the stuff your kid can whip up include crazy cakes, muffins, and play pizza. The oven comes complete with indicator lights and a ding sound when “baking” is complete. 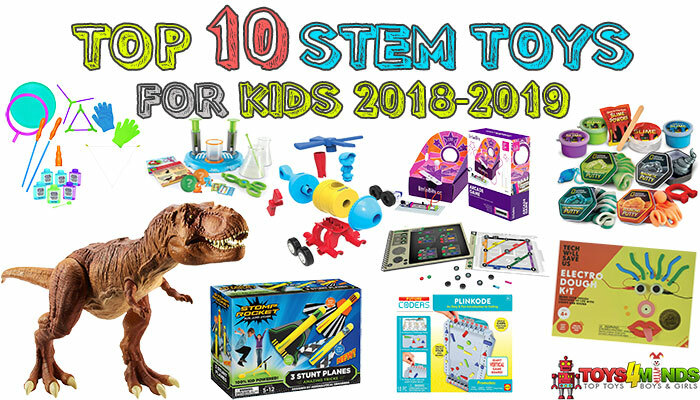 Included in the set is an oven, three cutters, six cans of modeling compound, five pretend food, a roller, spoon, plate, knife, fork, and a creation card. 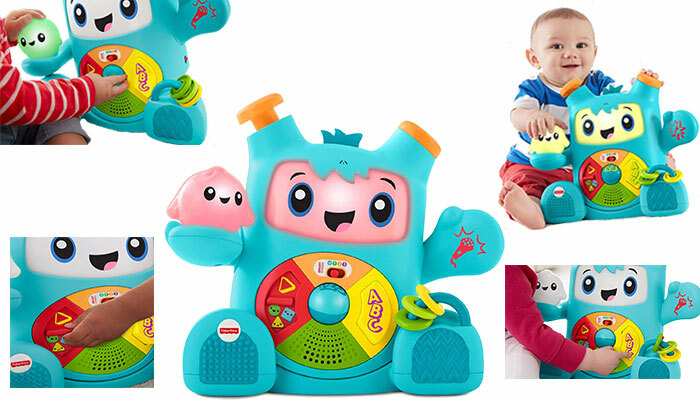 The Fisher-Price Think & Learn Rocktopus is suitable for the budding little musician. The set includes 15 musical instruments with 3-play modes and 5 musical styles. Rocktopus responds to the musical instruments kids tap or inserts during gameplay. Kids have control and can add or remove instruments, control the tempo and also add sound effects. Rocktopus also works with an app allowing kids to compose cool music and create videos to go along with them. 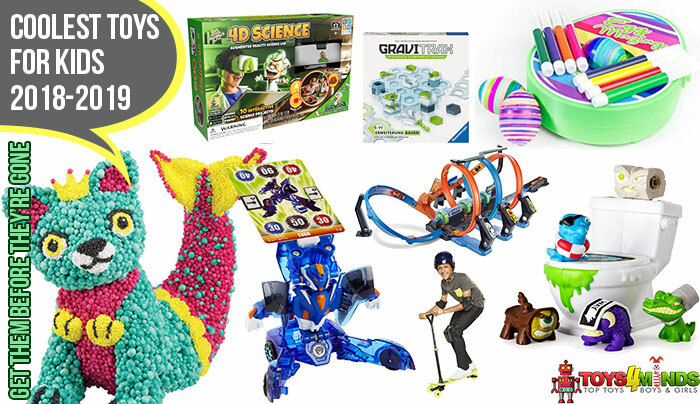 Young tots enjoy taking care of baby toys, and the Bizzy Bubs come equipped to keep your young one preoccupied. 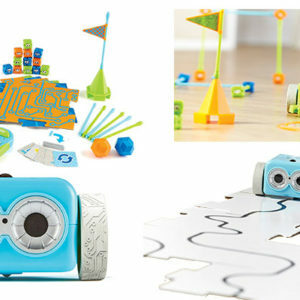 The interactive toys bounce, crawl, and babble while letting their individual personality shine. They interact with the included bottles and pacifiers, and they are always eager to show off what tricks they can do. 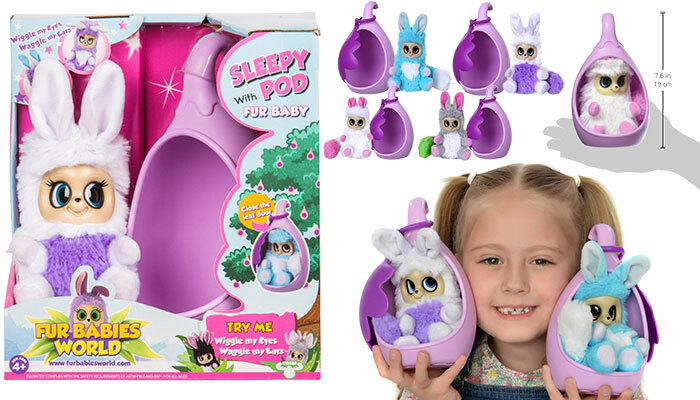 There are four Bizzy Bubs options including Polly Petals, Snowbeam, Poppy, and Primmy. Kids believe in superheroes, and they make it to the list of most appreciated Christmas gifts for kids. 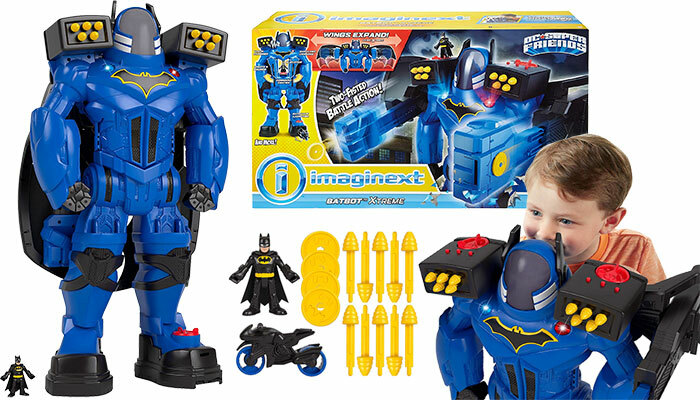 The BatBox Xtreme standing at 2ft-tall features wings, a motorcycle punching fists, a voice changer, and projectile launchers. The power pad found on BatBox’s right shoulder activates the battle mode with extended fists and wings. Get out of the way when you squeeze the triggers because BatBox starts some super punching action. Best yet, the battle mode also allows kids to use the voice changer with some incredible effects. 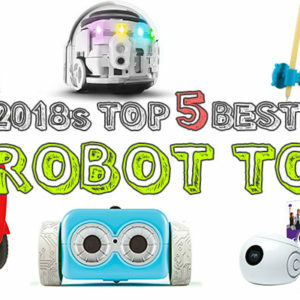 All top toys for Christmas 2019 list have one thing in common; they all include a Lego option. Ours isn’t any different and on the spotlight is the Lego Brickheadz Go Brick Me Building Kit. 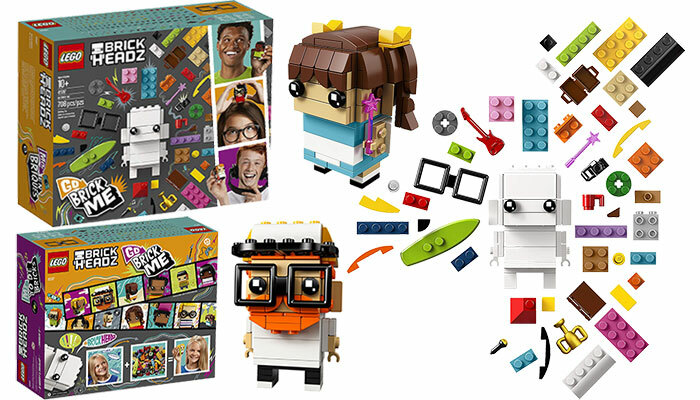 The impressive set lets your kid build a BrickHeadz version of themselves or their friends. It comes with two buildable baseplates and an assortment of Lego bricks to create different skin colors and hairstyles. The 708-piece blocks set is compatible with other Lego construction kits. The Games Flipslide is reminiscent of the Rubix cube with the aim being to match up the colored blocks and lights. 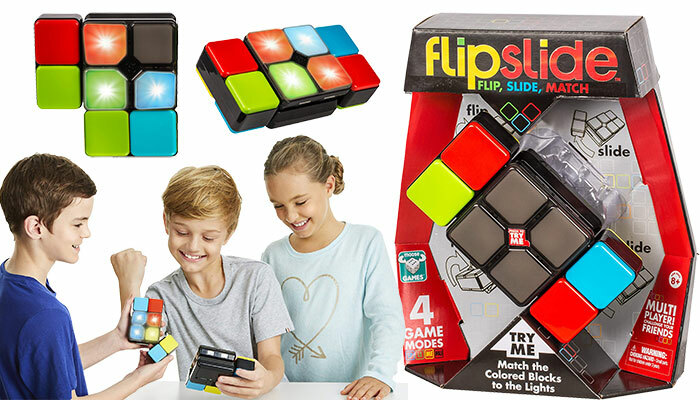 However, unlike the Rubix cube, the Games Flipslide uses flip and slide movements to match up the blocks and lights. It offers four challenge modes requiring you to master the moves so that you can beat the blocks. The puzzle lover will enjoy taking this game along with them wherever they go. 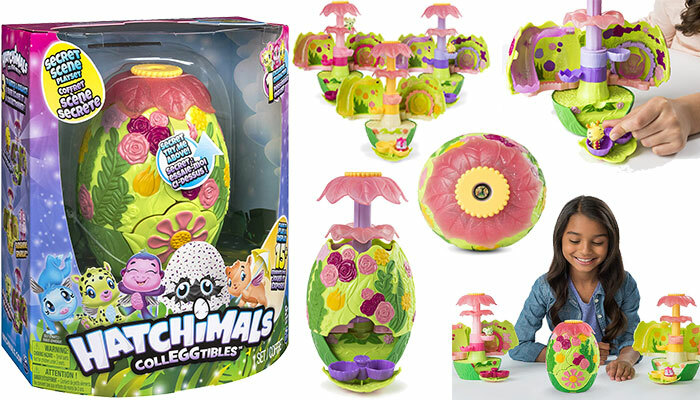 Kids who already have the first Hatchimals set will love to get their hands on the CollEGGitibles Season 3. 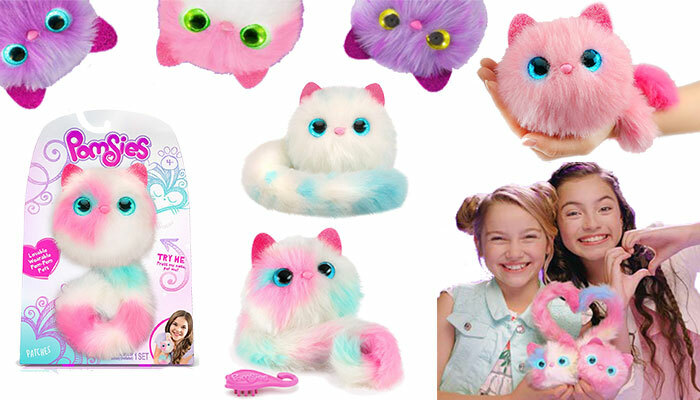 Your little one gets four of the tiny, colorful, and adorable pets with this set. To hatch the eggs, warm them up until they turn pink from their original purple color. Save the bottom of the shell after cracking it because it functions as a hangout spot for the adorable little pet. Also included is an out-of-egg collEGGtible making it a total of five cute pets for your young one. The set also features a collector ma and instructions. The Playfoam hides a Pal inside a surprise egg pod. The squishy, squashy foam never dries out allowing kids to let their imagination run wild by building whatever creations they please. 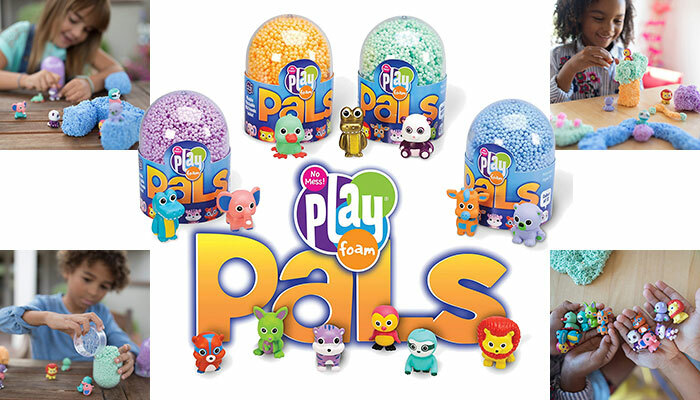 The Playfoam Pals come in 2, 6 and 12 pack options with 11 hidden pals to find and a rare golden one up for grabs. 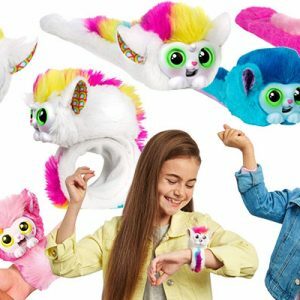 The cute pocket-sized Zoomer Zupps Ponies offer endless hours of play, and they produce fun sounds the more you play with them. Pressing her nose causes her to make a kissing sound and she lets you know that she loves you when you pet her nose. Each of the Pretty Ponies can perform a unique secret trick activated by pressing their head and tapping their nose twice. A comb accessory lets you comb the pony’s mane and tail, you can feed her when she is hungry, and she also takes a nap when she needs the rest. 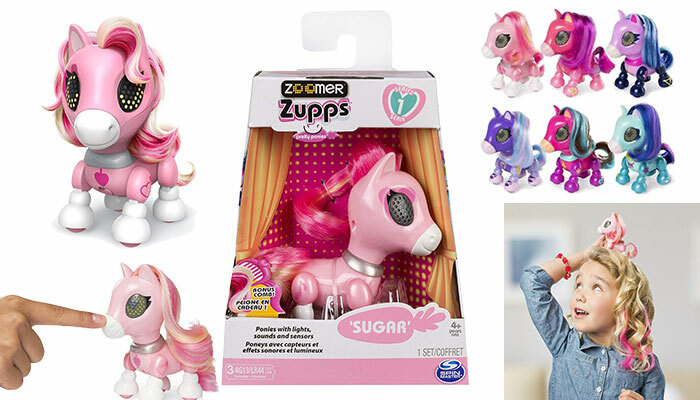 Collect all six Zoomer Zupps Pretty Ponies including Dixie, Electra, Lilac, Star, Nova and Sugar. 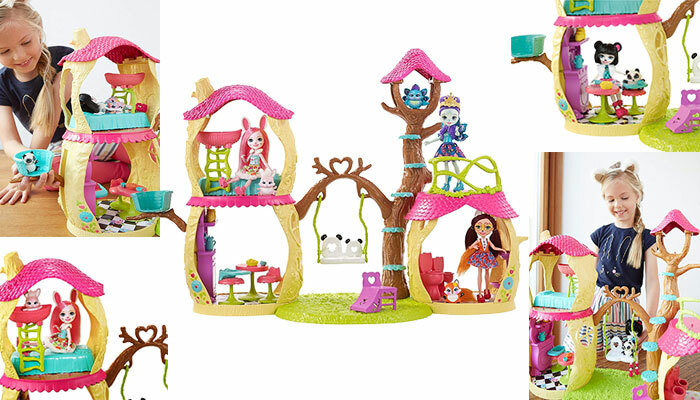 The animal lover will fall in love with the Enchantimals panda multi-level playhouse set. Your child gets an exclusive pure panda and a Nari figure. The multiple play spaces, nature-inspired details, and bright colors contribute to the fun of storytelling. Also included is a kitchen complete with seating and a table as well as food for the two Enchantimal friends. A bathroom with two toilets and sinks and a movable staircase also come with the set. 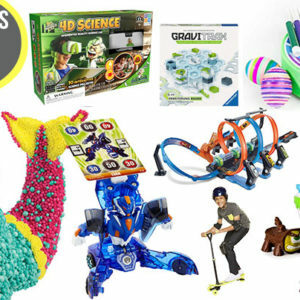 Jurassic World has inspired a collection of fun must-have toys, and the Fisher-Price Imaginext Indoraptor is one of them. 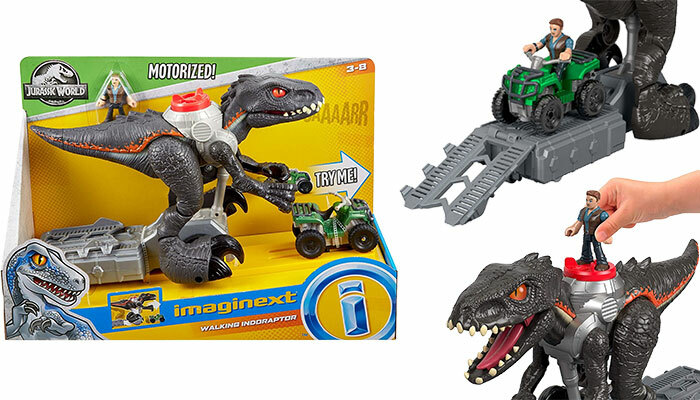 An ATV and Owen figure comes with the Walking Indoraptor, and rolling the vehicle in front of the dino sends it chasing after our beloved character – Owen. Turning the Power Pad propels the dino in a forward stomp in two speeds. Pushing the Power Pad also causes the Indoraptor to open its mouth. 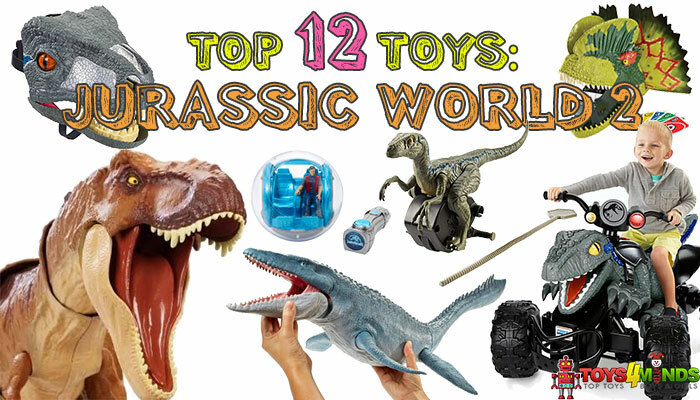 It’s the perfect toy for the dino lover allowing them to recreate their favorite adventures from the movie. 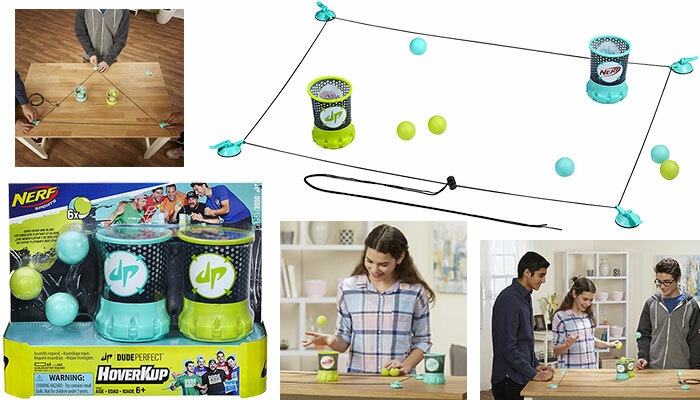 Every Christmas toys list needs a family game, and that’s what you get with the Nerf Sports HoverKup. It’s a cups game with a twist because you have to try and land a ball inside them as they hover over the table. Create a table of a flat table into a customizable arena with the help of four suction cups, a cord tensioner, and cords. The game also supports solo and group play for more fun. It’s ideal for players ages six and up. The Bush Bay can wiggle its eyes and waggle its ears making them come alive in your hands. The Fur Babies have a cuddly and soft construction making them irresistible to snuggle. They come with a Sleepy Pod with a hanging stalk so that you can hang them up wherever you please. There are four Fur Babies including Abi, Adero, Nenia, and Sasu to collect. 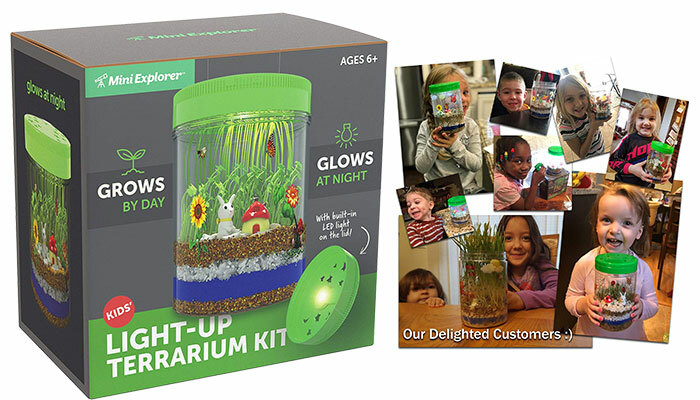 The curious nature lover will appreciate the Light-up Terrarium kids kit. Your child can create their personalized beautiful miniature garden and watch it grow by the day. Watch the terrarium transform into a magical spectacle at night with the help of the included innovative LED light. Included in the set are a 4″ by 6″ terrarium jar with a light-up lid, charging USB cable, and an instructions booklet. Hot Wheels get an Augmented Reality upgrade bringing a robust racing platform to life through video gameplay. 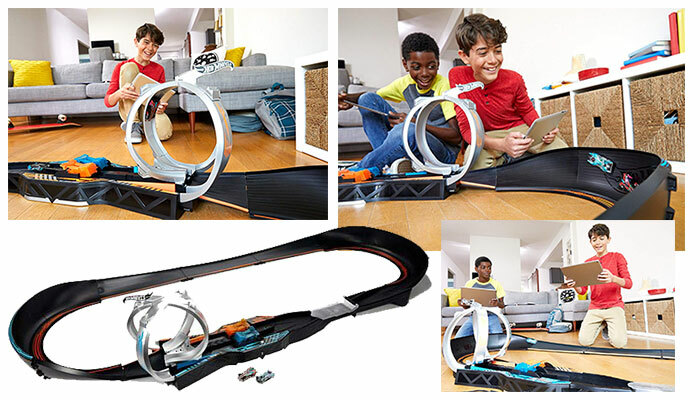 The 6-feet wide track set lets you compete with other drivers racing high-speed scale electric cars, and going through loops earns you an attack. The game comes with two electric-powered vehicles that are recharged to replace their juice. It works in hand with the Hot Wheels app to bring gameplay to life. The Hatchimals Secret Scene Playset is the perfect gift for the kid who loves surprises. You can sneak a peek at what’s inside by holding the egg against the light to find out if its the Bubblegum Bloom, Sunshine Sparkle, or Lala Lavender hidden inside. 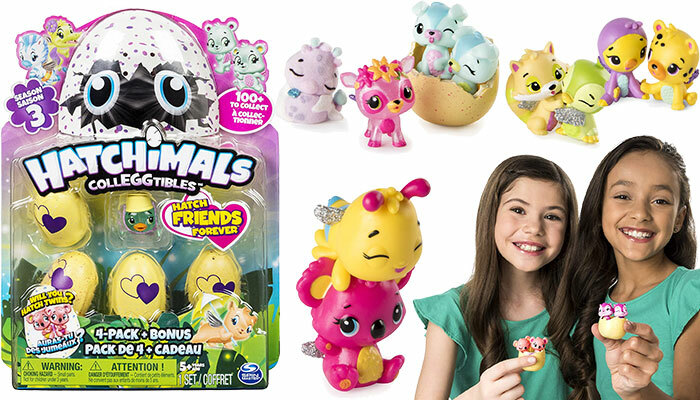 Each secret garden comes with an exclusive Hatchimals CollEGGtibles to include to your CollEGGtion. The playset offers 15 play areas including a slide, wing, and merry-go-round. Maybe you have not been able to head on down to Disneyland, but you can gift your little one the next best thing – their personal thrill ride. 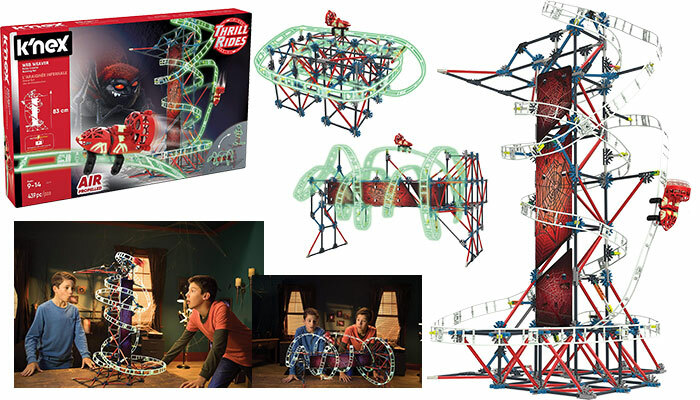 The K’NEX Building Roller Coaster set comes with more than 430 pieces and parts. The track glows in darkness, and the set comes with an air-powered and motorized coaster car. Your child can build the set using the easy-to-follow instructions. A parts guarantee is included to replace missing and broken parts. Slated for release in August, the hilarious party card game offers tons of challenges using the included tiny hands. 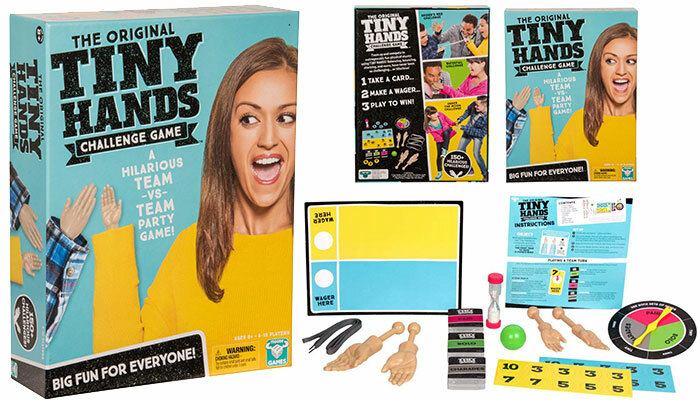 It’s a team game including balancing, bouncing and stacking using the tiny hands to make it through more than 150 outrageously fun physical stunts. 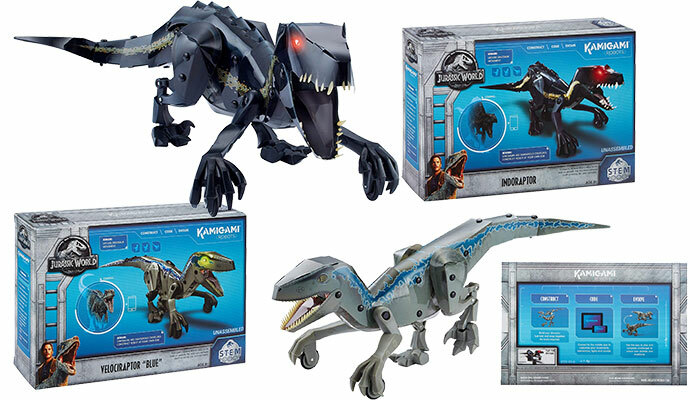 One thing is for sure, Jurassic World inspired toys will overrun this year’s Christmas gifts list. 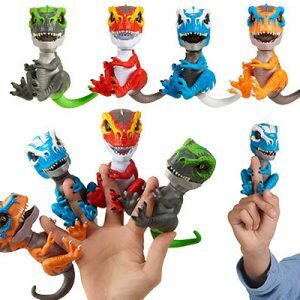 Kids can build their personalized Kamigami robot dinos using plastic pieces that can snap and fold together. It connects to a mobile app to bring the dinos robotic movements to life. There are two options to choose from including Blue and the Indoraptor. 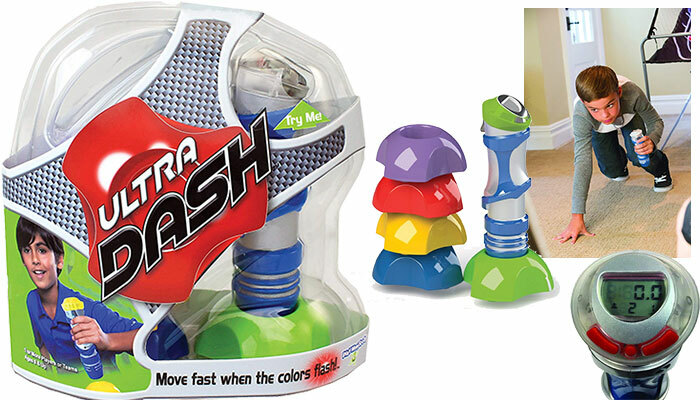 Get your kid moving with the help of the fun Ultra Dash. Your child runs when prompted by the flashing colors, and they can create their own targets design. The Ultra Dash features three game modes to choose from activated by the tagger with the aim to beat the clock, relay race, or target tally. Your child races to the color target corresponding to what the tagger flashes. They will then “tag” it, and the tagger will detect the targets and score the little player on accuracy. The game uses all visual and sound cues. Right from the hassle-free cool packaging which is a crate and crowbar to break into it, the Crate Creatures promise to be a hit this Christmas. 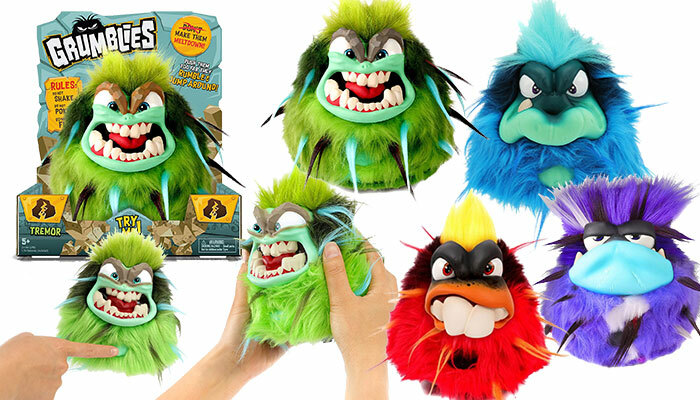 Pull the creature’s tongue to make it produce over 45 monstrously gross and fun sounds. Motion sensors enable it to react when held upside down, laying down or knocked over. The creature also allows you to record your voice which it can playback as a message. 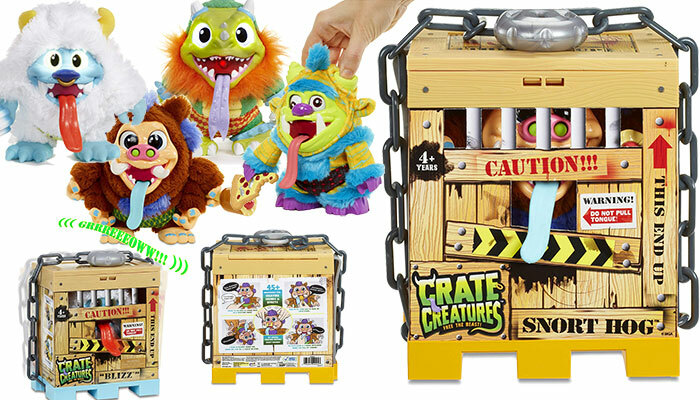 There are four creatures to choose from which come in a reusable crate with a frozen treat, a lock and chain, and crowbar. 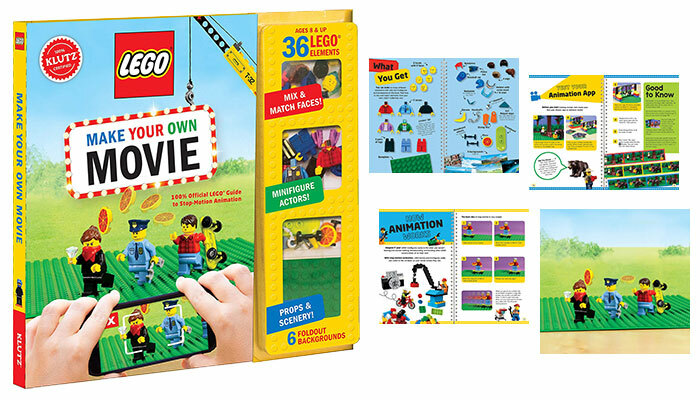 Let your young one get a head start in joining the movie industry with the help of the LEGO Make Your Own Movie Kit. Your child can create stop-motion animations on tablets and smartphones using the LEGO app. Impressively, your young one can come up with a mini-movie in just under an hour. An 80-page instructions book comes with the kit. 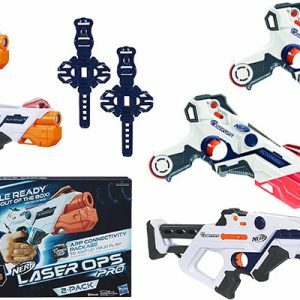 Every child enjoys a good game of laser tag, and you can bring the game at home with the Dynasty Toys Laser Tag set. Included are two Dynasty Laser Tag Blasters, two team flags, and four team base lights. The child-safe certified toy features added durability and come in new colors with 100% interchangeable blasters. 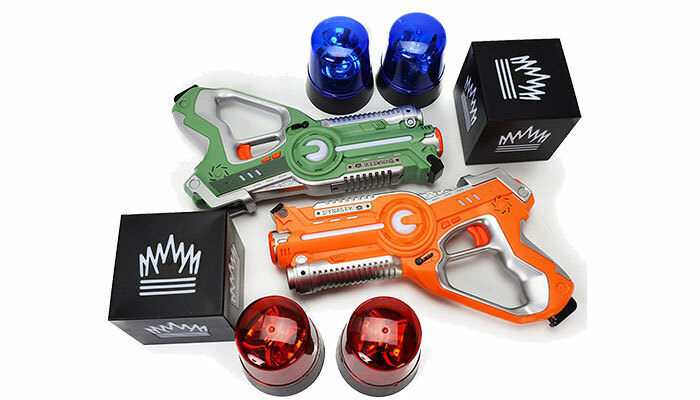 The set is also compatible with all other Dynasty Laser Tag toys which can help your child expand their existing collection. 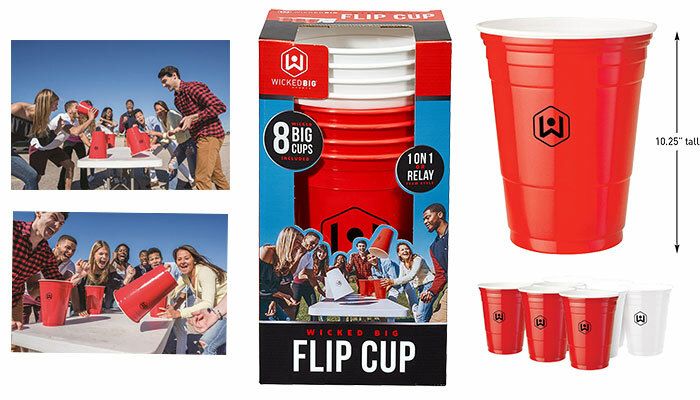 The classic flip cup party game is what your family needs to stay entertained during those Christmas shindigs. It works on the premise of taking a drink, flipping your cup, and repeating it all over again. The stack comes in a selection of 8 and 16 cups. 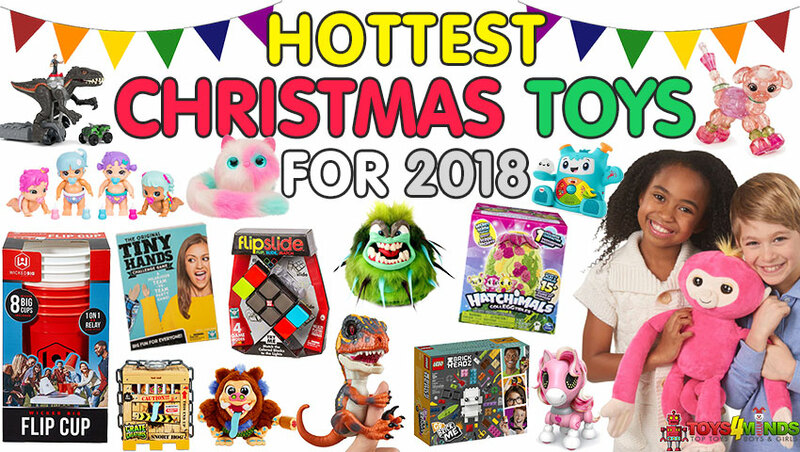 There you have it; 35 selections of the hottest toys for Christmas 2019 to 2020 to get you started on your gift shopping ahead of time.